The best stories always begin that way. My favorite stories always begin that way. Which is why it's perfect for this blog. Because once upon a time there was a guy and a girl. And they went Christmas shopping. They ventured through Sams Club and Toys R Us, Target and eventually Walmart. They went up and down aisles, smiling and laughing and picking out toys for a special little boy. At every Nerf display the guy would admire the swords that the girl couldn't fathom paying $17-$19 for. Because we'd need two. One for the little kid and one for the big kid. 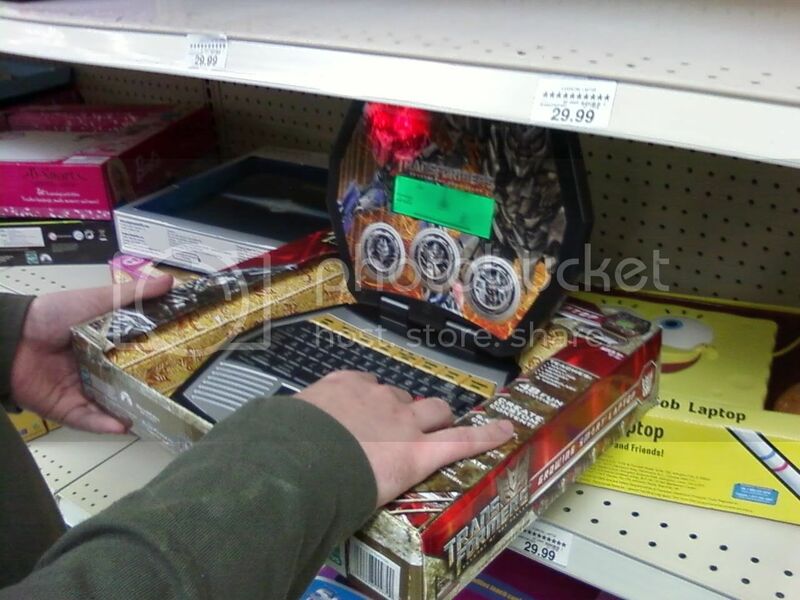 And in Toys R Us he paused to admire and test out the Transformers 'laptop'. And at every display for GI Joe or Transformers or Teenage Mutant Ninja Turtles the guy would light up and reverted to a 5 year old version of himself. He would hold the action figures with a look of awe and splendor and wanted it the same way he wanted it almost two decades ago. And he'd put it back on the shelf and return to the girl with a twinkle in his eye and a smile on his face much like that of a child on Christmas morning. And the girl knew she absolutely adored the guy because it thrilled her to see how cute he was and how excited he got over these things. And, as it always is when they're together, their day was perfect.